Drop the flower bulbs in one by one. 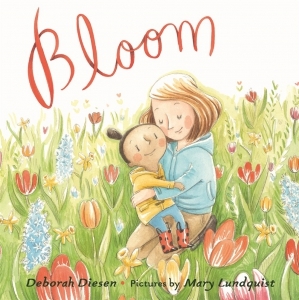 In this lushly illustrated story that celebrates life and growing up, a mother and daughter plant a garden to see how tiny bulbs bloom into something as beautiful and strong as their love. From New York Times bestselling author Debbie Diesen comes a story about a mother and multiracial child sharing beautiful life moments as they watch flower bulbs bloom - great for early spring.